As you can imagine, I am just not feeling like blogging. I had already written this series on my house prior to my mother's passing, so this week you'll get to read all about our house. I've said several times that I need to do a post about our house, but I never got around to it. Since we've been in it for 10 years in August, I thought it was the perfect time. When I was little, every time I went by my present house, I always thought it looked neat, as in tidy, well taken care of. The road in front of the house is where, as a child, our family dog got hit by a car and was killed. All because one of my sisters & I decided to walk home on the busy road and not through the neighborhood like we should have done. I'm pretty sure it was my idea, now that I think about it. When I moved back to the Small Town, CH & I looked at about 150 houses. We looked all over our county, and Knox County. We had a hard time deciding on one. CH kept saying that I wanted a house just like my parents, which really wasn't true. After putting a contract on a house in Knoxville and having it fall through, CH decided that we needed to live in the Small Town. It's hard to find an affordable house in this town; people just don't move, and the only way to get a house is to know somebody. I had even started looking in the obituaries to see if someone I knew had passed. We were living with my parents until we found something. I was driving OS to work one morning. When I got to the top of my parents' street, I noticed a "for sale" sign just to the right. I was pretty excited, because it was in a great location: right next to the park, and within walking distance to the schools and the pool. I called CH & our realtor right away, and told them we needed to look at it ASAP because it wasn't going to stay on the market. When we looked at the house, my parents were curious to see it, too, so they tagged along. As we were going through it, the daughter of the lady who owned the house was there. Her mom had gotten sick and had passed away that winter. She recognized my parents and talked to them for a while. She had gone to school with one of my sisters. After we left the house, CH & I had a tough decision to make. We found another house in a different section of town, but there were some legal issues. 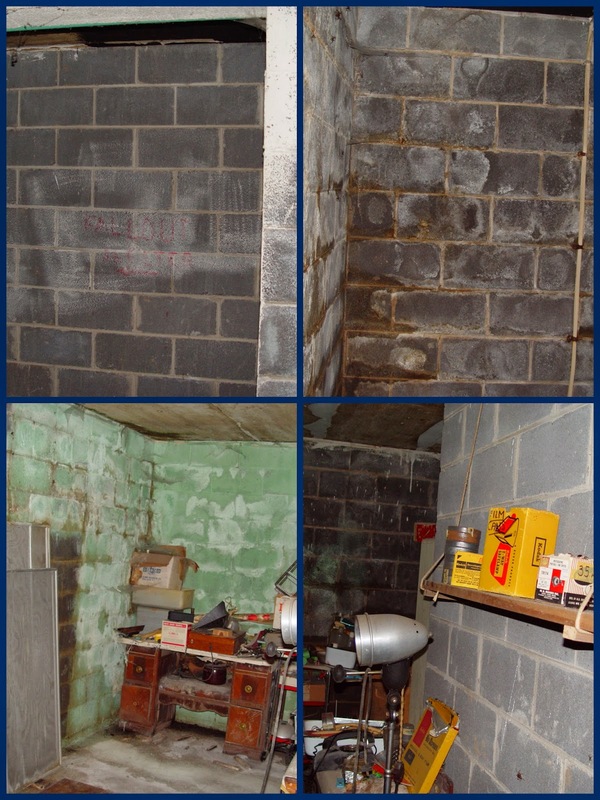 We also needed to decide (quickly) whether we wanted a house that was pretty much move in ready, or if we wanted a fixer-upper in an almost ideal location. We saw a lot of potential in the "good location" house, so we decided to go for it. The next day, the daughter called me & told me that she didn't know if we were planning on making an offer, but there was someone who was going to, and she told me how much he was offering. I told her that we weren't planning on offering as much as he because we were a little concerned about the water standing in the basement. She told me that she would rather someone she knows have the house. (Her parents built the house in 1962.) CH & I resigned ourselves to the fact that it just wasn't meant to be, but a couple hours later, she called back and said the man decided not to make the offer so the house was ours if we wanted it. We had my dad (who is an engineer) & one of my brothers have a good look at the structure to make sure we weren't getting into something we'd regret. The man owner was also an engineer, so everything looked promising. We put in an offer, and it was accepted. I mentioned that the house was built in 1962. We are only the 2nd owners: the original owners both worked in Oak Ridge. The woman actually worked on the Manhattan Project, a fact that her daughter didn't realize until she found a certificate thanking her for her service tucked away in the basement. One really cool thing about this house: we have a bomb shelter. The man wanted to be ready to protect his family should there be a nuclear attack, and, given our proximity to Oak Ridge, thought if one did occur, the "Secret City" would definitely be a target. One of my sisters said she was always jealous of the daughter in the house, because we would have to go to a nearby public fallout shelter while she only had to go into her basement! The only thing missing is the door. Here's the funny thing: It was built by the brother of the guy that built my parents' house! They are both basement ranchers. My parents' next-door-neighbors' house has a very similar layout to ours. You are so lucky to have your own home!!!! I never have and probably won't until Thomas retires. I've just heard so many horror stories about trying to sell a home after you get orders for your next assignment. Someday I'll stay put, lol! Interesting story! It was meant to be, right? Take care of yourself, dear one. My uncle worked in Los Alamos...he was a nuclear physicist. His house had a bomb shelter which we thought was super cool when we were kids. Take care...these are hard days. Time is a healer of sorts, and down the road you will find great comfort in your memories, but I know they are sharp know. Such a wonderful story you shared, Mary! Again...so very sorry for the loss of your mom. My mom passed away in 2000 and the missing her part never goes away. You're in my prayers. And what a fantastic lawn you have there too! Our house needs some fixing up but I don't think we'll ever get anything done to it. Everything in here was put in in the 70s except the flooring. Just wanted you to know that I'm thinking of you and keeping you and your family in my prayers daily. A wonderful story of "coming home"!! It feels so right when everything happens the way it is supposed to happen. You were meant to have that house! 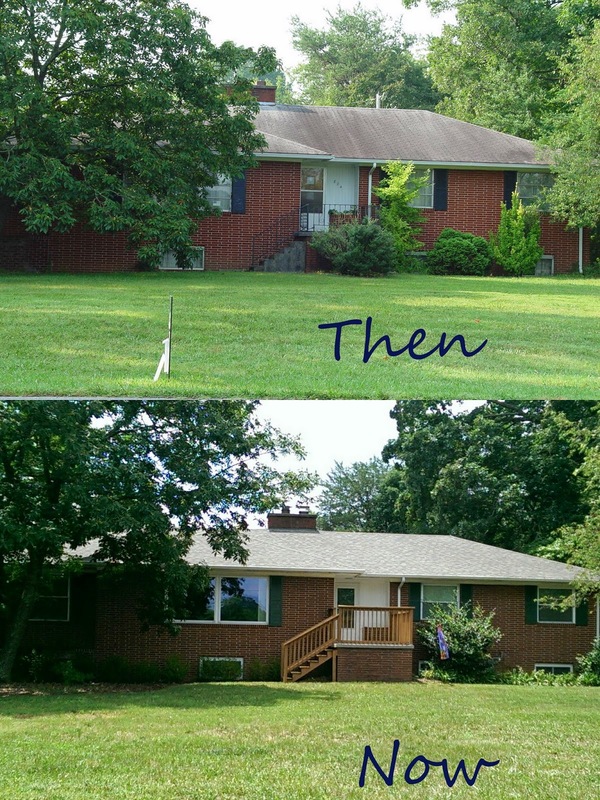 The new porch, roof and nicer landscaping made a huge difference! I love that you are sharing this; I'm always interested in how/where/why others live. I hope you are doing well. What a neat story about how you got your house. I never thought it would be hard to find housing in small towns until you mentioned it, but I'm sure people are pretty stuck in their ways and don't move unless absolutely they need to, not like here where everyone seems to want to move eveyr few years and there are always houses being constructed. ((((Mary)))) It is hard to get back into routine; just do what you want when you want, especially things that can slide like blogging. Very interesting story, thank you for sharing it with us.